We've started up a development blog over here. We are going to try to keep it updated as frequently as possible. Right now we're going to be doing a set of three features on what goes into producing improved destruction models for Star Villains and Space Heroes. 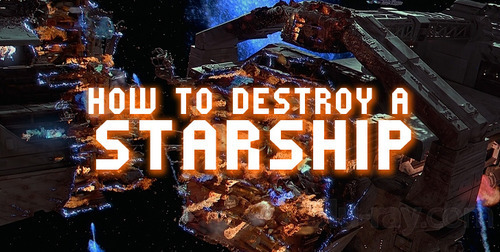 The first one - Alex Tears Apart a Starship - is up now, in which Alex talks about how he goes about cutting up and destroying his models. Once you've read it - and it is awesome, I assure you - stay tuned as I'll be adding my two cents sometime on the weekend. Awesome stuff! Would be awesome if you could notify us here once a new blog post is up. Really digging the whole game so far! Keep it up! Yep, we'll make sure to note any updates here!